How Old Is Tope Alabi And Her Husband? 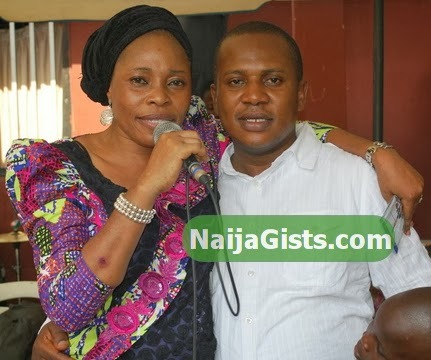 Updated February 10, 2014 – How Old Is Gospel Singer Tope Alabi And Her Husband? This is the most asked questions by fans of the popular Nigerian gospel singer. She was born on the 27th of October year 1970. She is happily married with children. Her husband Soji Alabi is 40 year old. Last year, the singer got involved in a messy fight with her spiritual father, now late prophet Ireti Ajanaku. She has since cleared her name from the mess. Almighty God who has successfully grant you the crown of achievement will not stop his nourishment to move on. You are a moving train which no limit. God bless you.